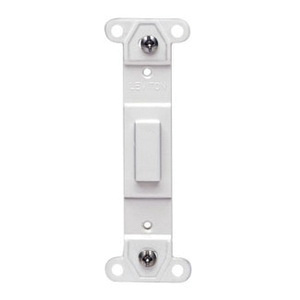 Leviton Toggle switch wallplate insert in gray color, features plastic construction. Screw mountable insert is suitable for residential and commercial application. Wallplate insert is UL listed and CSA certified.